This is where it all began, in Paris, in the basement of a café: the story of cinema. Where else could the Lumières brothers could have launched their cinématograph? And Paris still very much is a city of cinéphiles. For those of you bitten by the same bug, a visit to the Cinémathèque Française is a must. Go there on a beautiful day, have a walk in the Parc de Bercy, enjoy the fountains, rose gardens, lily ponds. The park actually is the modern version of the French formal garden, where the geometric lines and straight flowerbeds got a little edgy twist. On summer weekends, a lot of Parisians go here for a stroll or simply for relaxing. Then head out onto rue de Bercy. 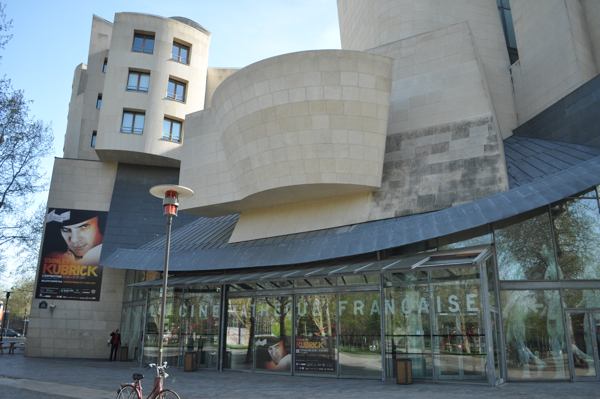 You will immediately discover a striking building designed by the Canadian-American architect Frank Gehry in 1993. It has been compared to a falling pack of cards, but you really need a lot of imagination to see this. It looks more like a cubist painting. He himself said that Henry Matisse’s collages inspired him. But the Cinémathèque is not only a striking building, it is literally a temple to the “seventh art”. Inside you’ll find a museum devoted to the history of cinema, the Musée du Cinéma, several theatres for screenings, huge exhibition spaces for temporary shows, a library and a restaurant. But there are also enormous archives frequented by researchers. The centre actually houses movie treasures dating back to the beginning of cinema: 40 000 films from all over the world which Henri Langlois, the founder of the Cinématheque, succeeded in preserving over four decades. You might want to visit the fascinating retrospective dedicated to Stanley Kubrick, which is on display right now. 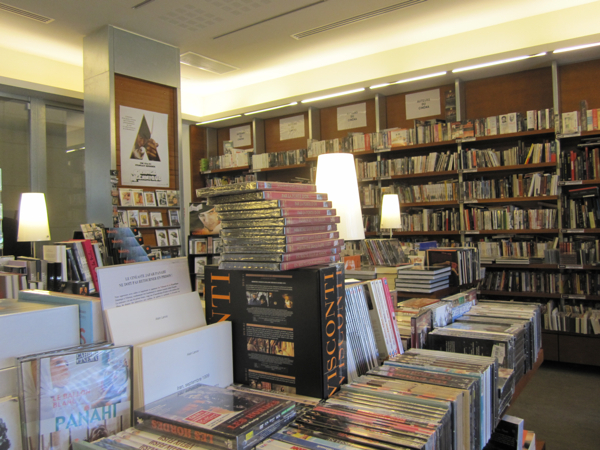 Yet the Musée du Cinema is definitely worth a visit too. It presents the early image-making devices known as magic lanterns; old cameras and projectors; costumes from famous productions like ”Gone With the Wind”; posters; film clips from classics; and even the Oscar statuette of founder Langlois. Only a fraction of its huge collection of movie memorabilia is on display. It’s fun for older kids and interesting for adults. 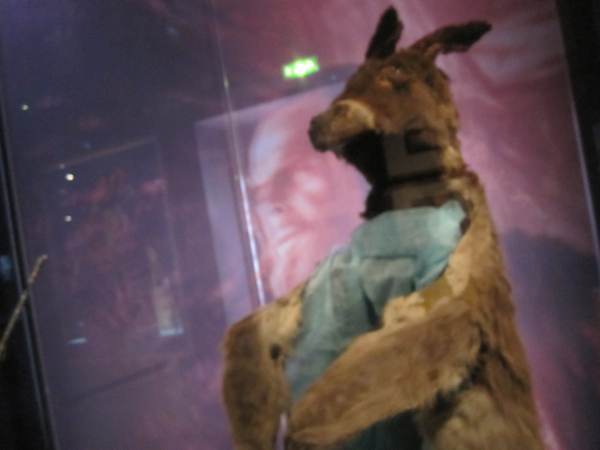 You will not only discover an exact replica of the robot from Fritz Lang’s ”Metropolis”, but even the donkey costume Catherine Deneuve was wearing in Jacques Demy’s film “Donkey Skin”. The result is a walk through the history of movies. When in town, it’s a good idea to check out the program on their website. There is always something interesting going on in the Cinematheuqe Française – and it’s definitely something to do off the beaten track.